People with asthma know what works for them, and what doesn’t. The trio of nebulizers we’re about to share with you are proven products that have been prescribed by physicians, appreciated by patients, and sold with confidence because they work and have features that make them both efficient and effective, and, therefore, are worth every penny. But a nebulizer does not have to be expensive to be good. The PARI LC Plus Nebulizer is one such product. 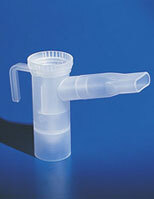 At only $17.95 the PARI LC Plus has long been prescribed by physicians because of its value to asthma patients. 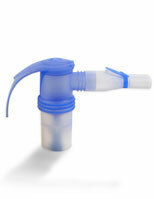 The unique construction of this nebulizer prevents wasted medication with open and close valves that respond to patient breathing and keep medication inside the nebulizer until it can be inhaled. This maximizes effectiveness, delivering more than 65% of prescribed medication in the respirable range. The Clear-View Window enables you to see how much medication remains during treatments, which typically run six to seven minutes. PARI LC Plus nebulizers have been tested effective through clinical trials. The next affordable wonder to consider is the nifty PARI LC Sprint Nebulizer. The enhanced design of the PARI LC Sprint provides equal if not greater efficiency to its predecessor, with a valve that opens and closes. But the Sprint is just a little quicker, so treatments don’t take quite as long. Thus, the PARI LC Sprint Nebulizer is great for children who might not have the patience to sit still. It’s about 20% faster and comes with its own cup, valves, mouthpiece, tubing and instructions. 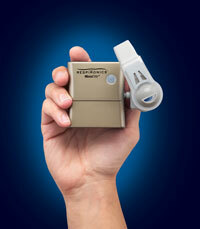 The MicroElite Miniature Nebulizer is your “on the go” partner. The Compressor/Nebulizer system combines to deliver medication swiftly, quietly and effectively, great for discretion, but also for complete and nearly wasteless delivery. The MicroElite Lithium Battery is rechargeable, yet this unit is very light and fits in the palm of your hand. Having the right asthma strategy on hand and ready to go is a quality of life as well as a health issue. At Allergy Asthma Technology these products come highly recommended because they use proven technologies that our customers know and trust.